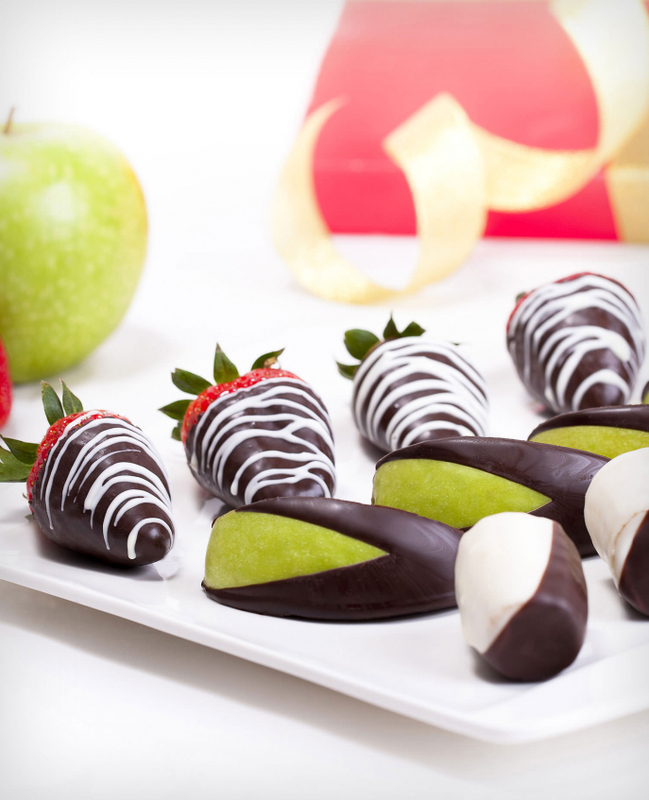 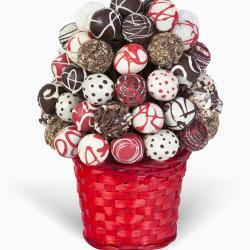 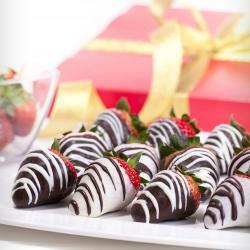 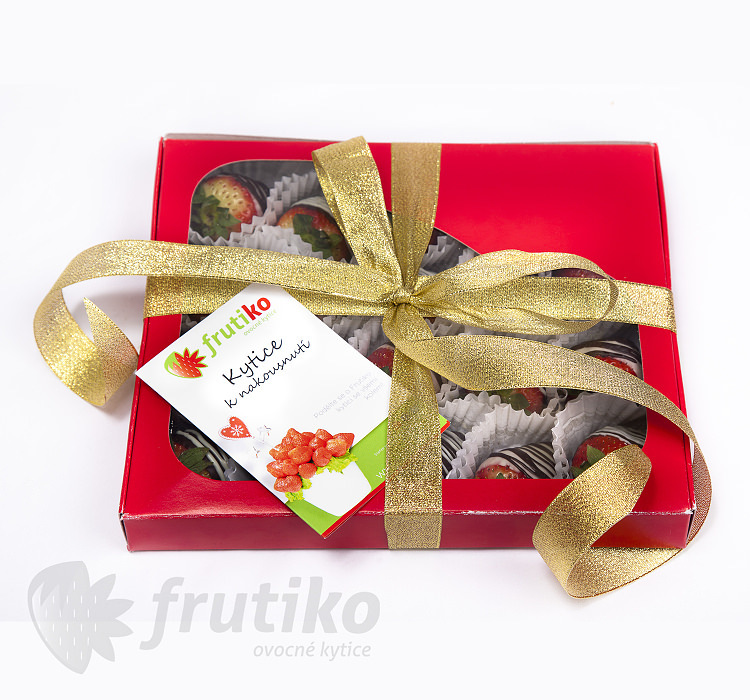 Fruit mix is chocolate box which created from various types of fresh fruit dipped in quality chocolate. 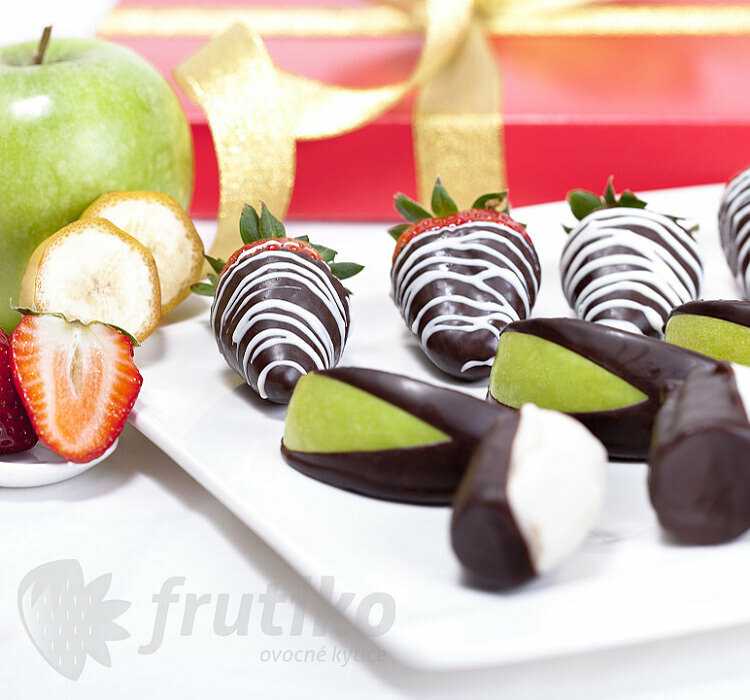 This chocolate box contains a selection of top-quality fruit - green apples, fresh strawberries and sweet banana pieces dipped in quality white, dark and milk chocolate. 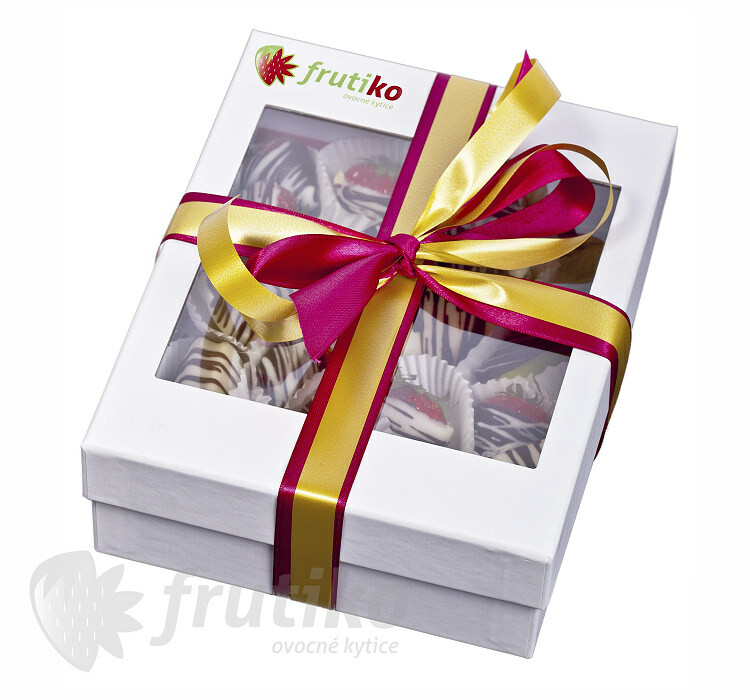 Try Frutiko luxury chocolate box ! 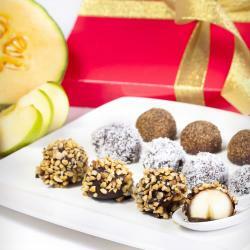 If you like mix boxes you can try Chocolate balls. 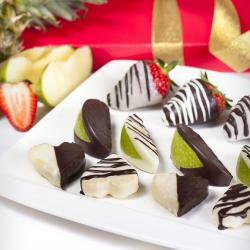 Standard boxes contains 15 pieces of fruit in chocolate, Big boxes contains 20 pieces of fruit in chocolate.